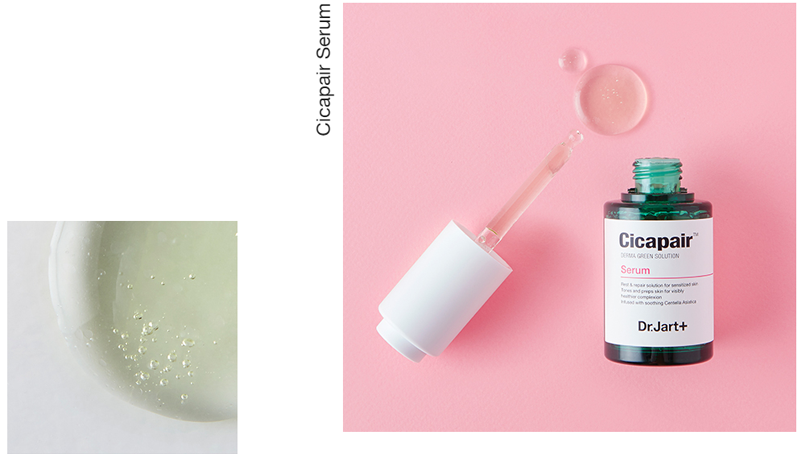 A calming serum for extremely sensitive, irritated, or inflamed skin. You will earn 128 Wonder Points for purchasing this product. 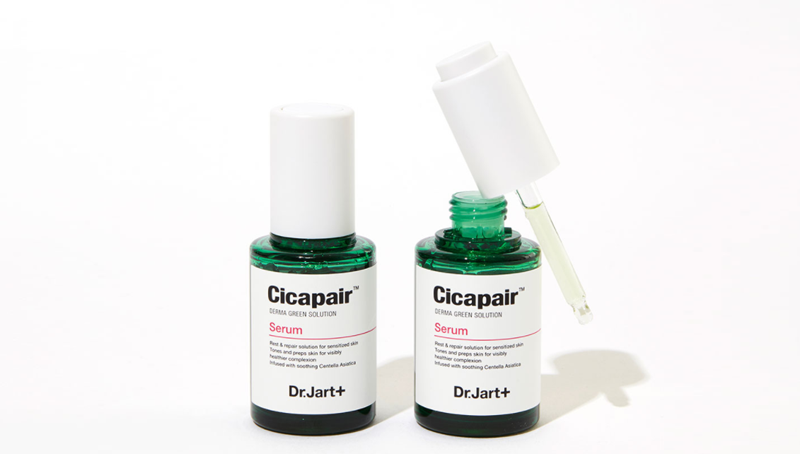 Suitable for even the most sensitive skin types, Cicapair Serum by Dr. Jart soothes and repairs skin while prepping it for moisturiser to reveal a visibly healthy-looking complexion. 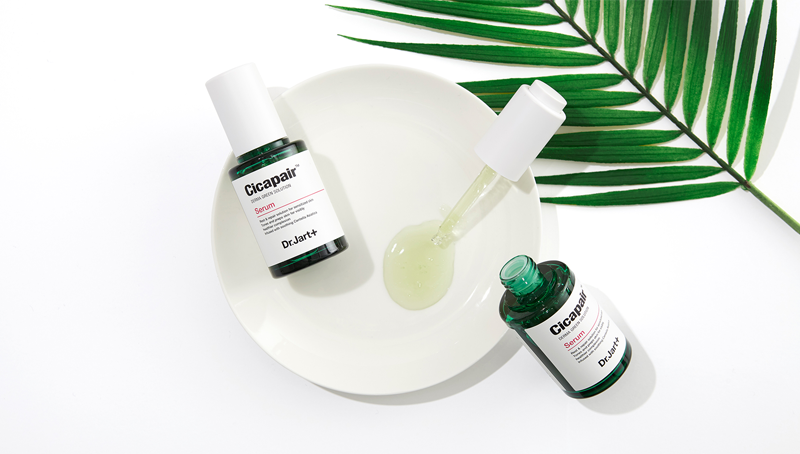 Like the entire Cicapair™ Collection, it’s infused with soothing Centella Asiatica, or tiger grass, an active ingredient used for generations to restore and support damaged skin and inflammation. After cleansing skin, apply a moderate amount of serum. It will change from green-to-beige to correct redness.